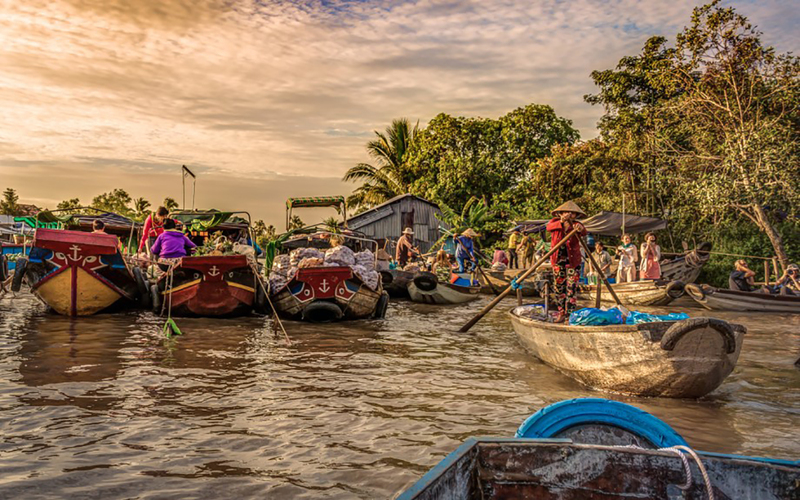 A day trip to Mekong Delta is perfect choice for visitors who want to have a general look about Mekong life style but do not have much time for staying overnight. You will be taken away from the urban noise to give yourself a relaxing in rural area while listening to traditional music or riding through the small canals. During the tours, you will have the chance to see the nature of the Mekong and some wild animals if having a luck. Transportation: Private car, boat and bicycle. Boarding the motorboat and heading to learn coconut candies making process from a workshop, sample of candies can be tasted. Passing through beekeeping farm and enjoying honey tea, a typical Mekong house can be viewed along the way. Travel by XE LOI/ to reach a performance site where Vietnamese traditional music (Intangible Cultural Asset of Humanity accredited by UNESCO in 2013) can be heard and seasonal tropical fruit canbe tasted. Afterward, being on a small rowing boat (the main mean of transportation in My Tho & Ben Tre) and slowly cruising through a small creek with beautiful overhanging coconut trees. Lives from both sides of the creek can be observed. 13:30: After exploring the island heading back to Sai Gon. ……. : On the way, stop at either Chocolate Farm where you can see the working process and having the conversation with one of the family member to share about the business stories and experiences or Cao Dai Temple. •16:00: Arriving Sai Gon, drop off at the hotel and finish the tour. Food and drink are mentioned on the package.